Whole grain cakes are a great way to use leftover grains. The starch in them solidifies as they cool and makes it even easier to form cakes that will hold together. 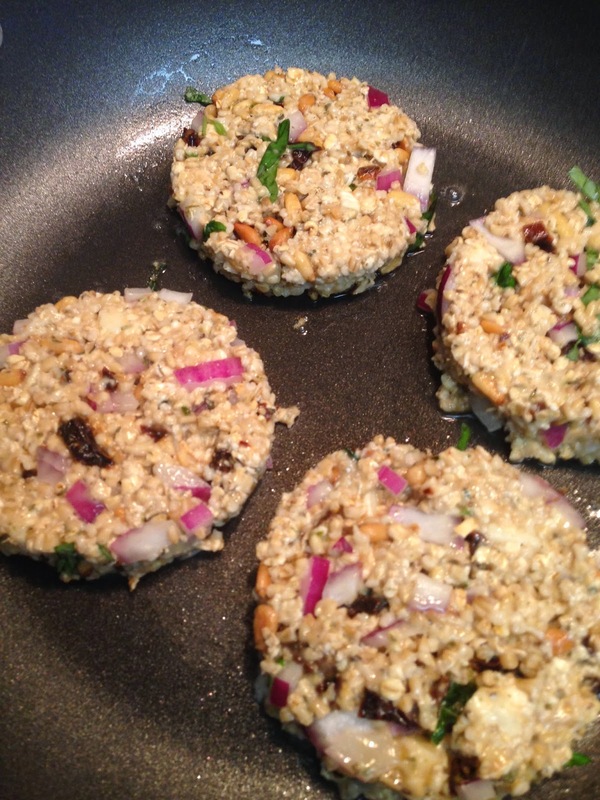 Grain cakes are also a flavourful way to get healthy fibre in your diet. A plain side of grains is not always that appetizing. Use a canning lid to make these easily and uniformly. 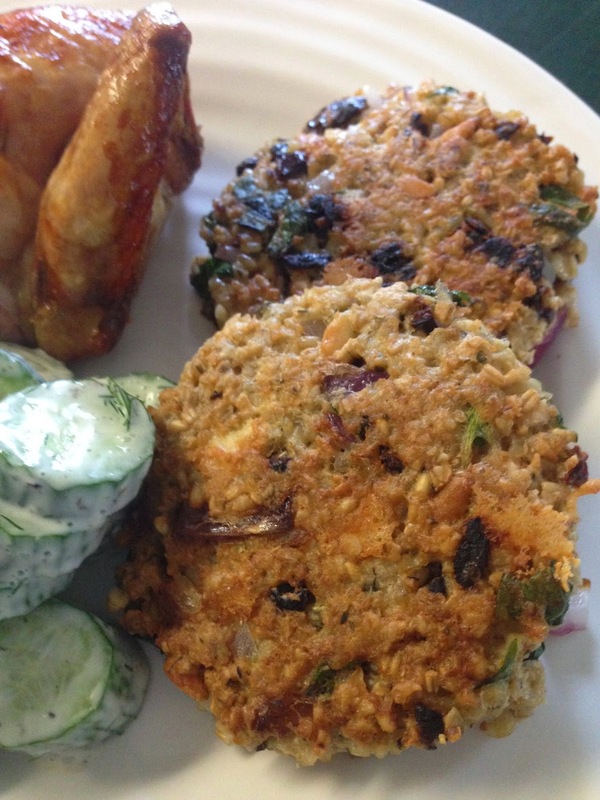 This recipe is closely based on the one in Ancient Grains for Modern Meals by Maria Speck. Great served with cucumber dressing and/or cucumber salad. Makes 7 - 8 cakes. 1. Bring steel cut oats and water to a boil. Add a pinch of salt, simmer for 2 minutes, stirring occasionally. Remove from heat and let stand, covered, for one hour until water has absorbed. Let cool. (Otherwise, use leftover grains). 2. 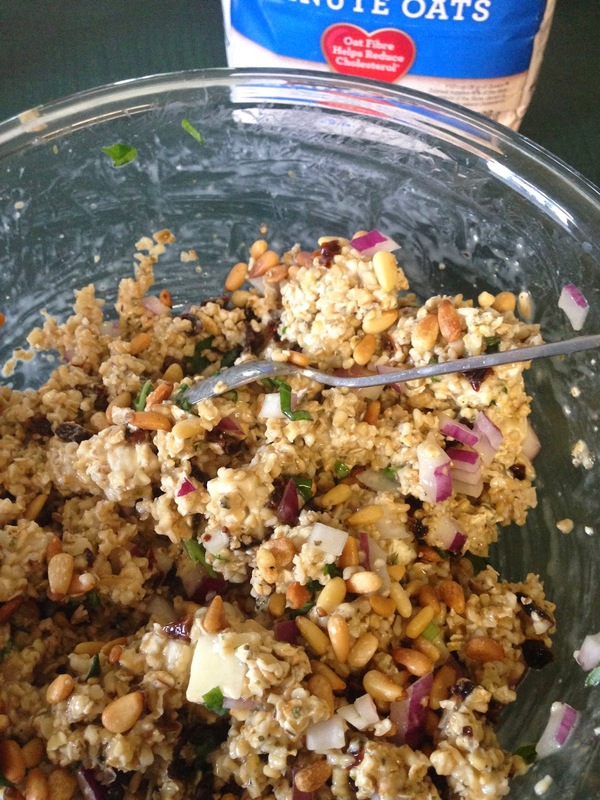 Combine all other ingredients together with the cooled grains. 3. Heat 1 Tbsp of coconut oil in a large frying pan on medium high heat. Turn the heat down to medium and fry four cakes for 4 - 5 minutes on each side until golden brown. Fry the remaining four cakes in the other 1 Tbsp of oil. Enjoy! These can be served hot, cold, or at room temperature. 1. 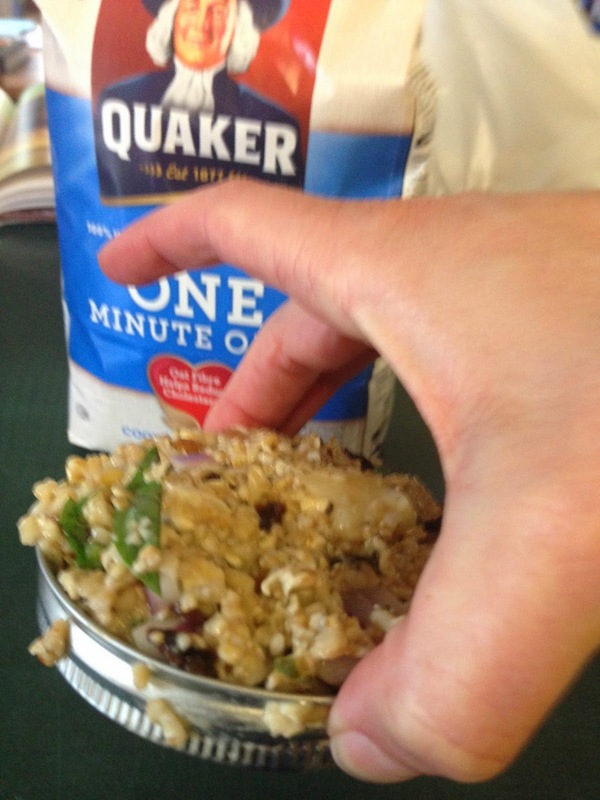 There are quick cooking oats that cook in 1.5 minutes or 1 minute oats. Either one will work, but do not use regular oats - they will not hold together. 2. 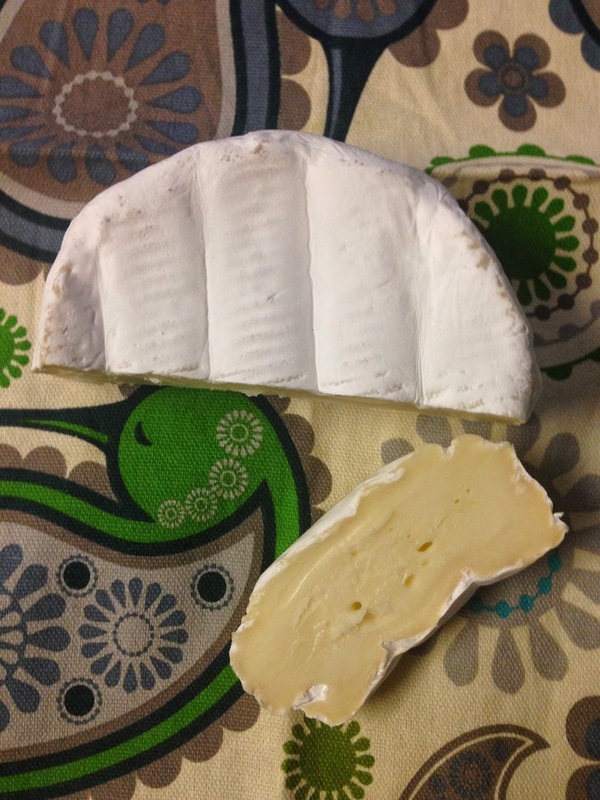 You can use the brie with or without the rind on it. It just depends on whether or not you like the taste. @shannonboyer2013. Simple theme. Theme images by GelatoPlus. Powered by Blogger.